Why Are We The Best Optometrist? At InFocus Optical we provide quality eye care to our community. To begin with, our optometrists are Moreland locals. It means our passion for eye care and eye wear is by locals, for locals. With a focus on preventative eye care, you can be sure you and your family will be well looked after. In particular, we offer services that are convenient. Whether you are from Coburg, Pascoe Vale, Brunswick or further, we know we can look after you. At the end, we want everyone feeling they have chosen the best optometrist in Melbourne. Certainly come find out why you should choose InFocus Optical. Thus, here are some great tips to find the best optometrist for you. After all, they are true to us! Lots of free parking right outside our store. We choose to bulk-bill eye tests because we want to look after you. Most importantly we want to see you when a problem begins. Certainly not when it worsens. The latest eye care equipment. We have chosen the best optometrist tech that we can right now. All this in order to diagnose and monitor eye conditions. Importantly, to prevent and detect eye diseases in their early stage. Significant experience working closely with eye specialists. Specifically for cataract, glaucoma and macular degeneration. Also, in-depth expertise with keratoconus and specialised contact lenses. The best optometrist knows exactly when you should be referred to the right eye specialist. We are 100% locally owned, operated and independent. Ensuring our decisions are in your best interests. A hand-picked range of over 500 quality spectacle frames and sunglasses. With options to suit everyone and every budget. Immediate confirmation for online booking. As members of Optometry Australia, we value professionalism. The best optometrist stays up-to-date with the latest information. 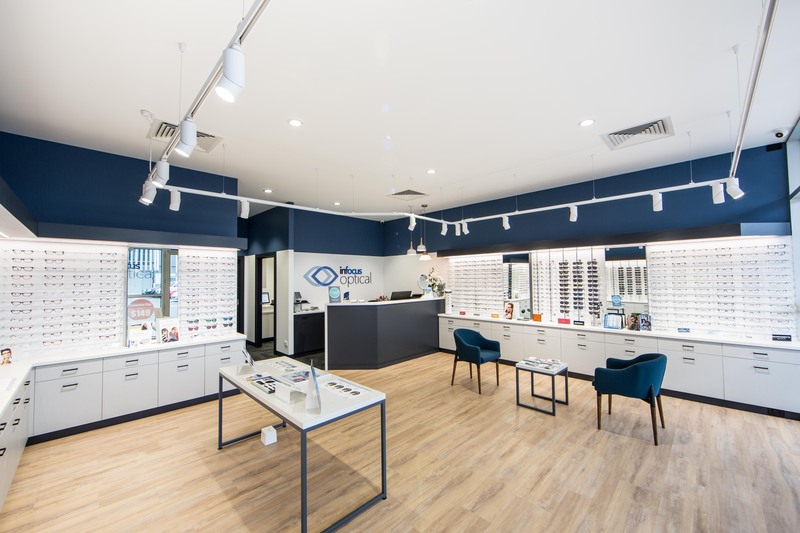 Come and visit our optometrist to discover an amazing eye experience! We will aim to show you that we are friendly and truly care for your health. This will follow with genuine advice with your needs in mind. InFocus Optical is conveniently at the corner where Coburg, Coburg North, Pascoe Vale, Pascoe Vale South meet. We welcome all new and existing patients to our optometry clinic. Find out why our patients leave saying they've found the best optometrist locally! We are very happy when you speak kindly of us to family and friends.